Seeing my work scaled to such a large entryway for this event was really something special. 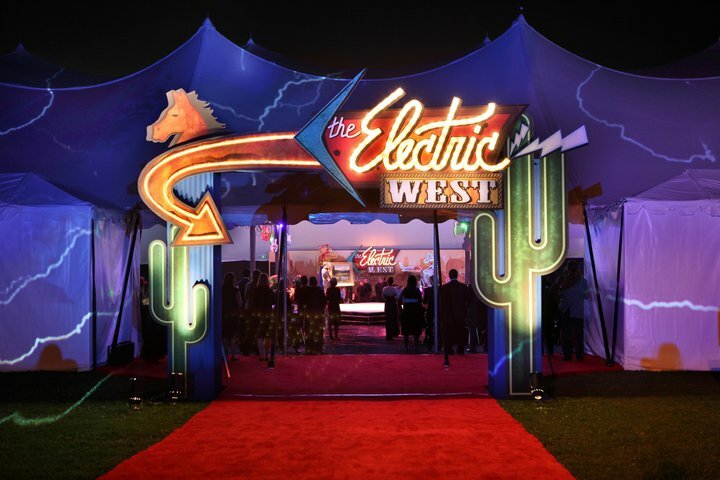 Each shape and measurement was very carefully chosen so that when the whole piece was printed and assembled to scale, guests would have a remarkable beginning to their ‘electric’ evening. 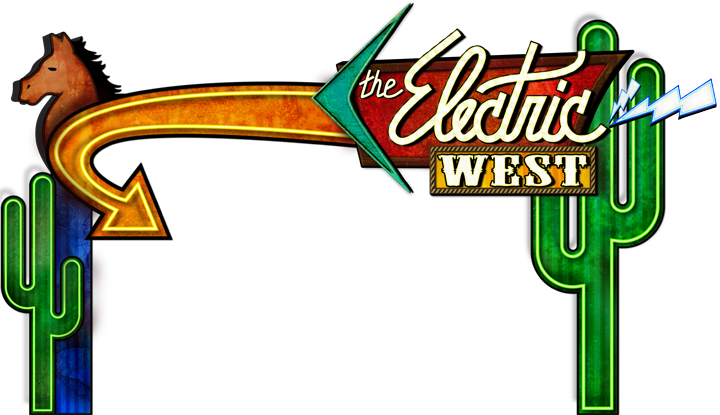 The theme – ‘The Electric West’ – was one of my favorites. 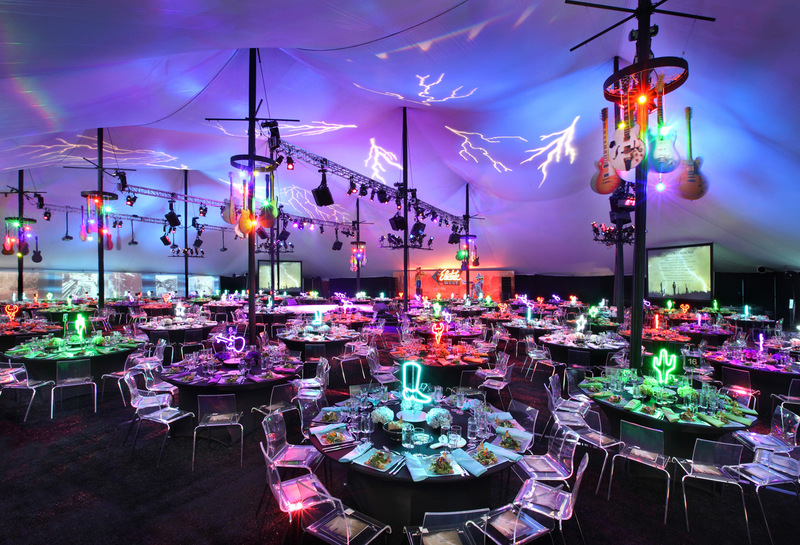 The amount of creativity Tim (of Poko Event Production) puts into his work is astounding; no detail is too small, and when the big picture comes together, it is perfection. 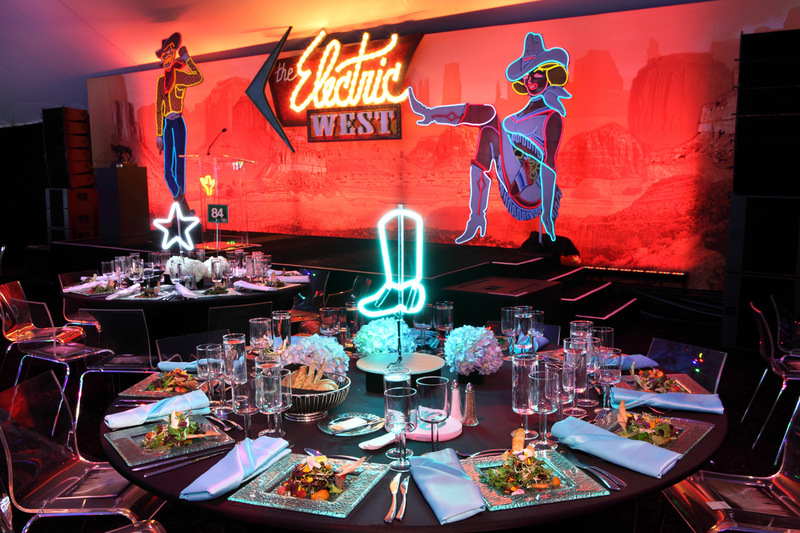 I was lucky enough to work on a number of pieces for this event for the Autry National Center’s annual gala. I created the entryway and recreated Vegas Vic and Vicky for the stage. Tim even lit the designs with rope light – they looked so cool!